Discreet, highly effective lingual braces fitted to the inside of the teeth. 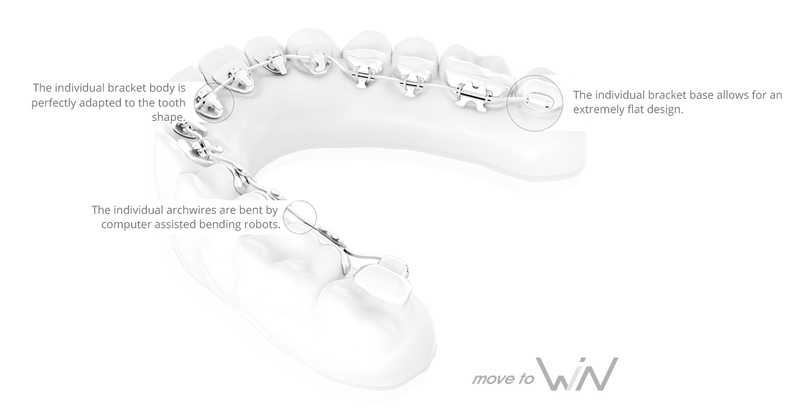 Here at Moira Wong Orthodontics we generally recommend either Win System or Incognito lingual braces. These are customised lingual braces, made individually for each patient. Unlike conventional braces, adult lingual braces are fitted to the inside of the teeth so they remain largely invisible when you are smiling. They deliver outstanding control over tooth movement, with complete invisibility and no “metal-mouth”. Lingual braces are an excellent choice for patients who want to enjoy the benefits of teeth realignment without visible signs that a brace has been fitted. The treatment process is straightforward. Beginning with an appointment here at our practice here in Kensington, we will take precise measurements and explain how your treatment will work. Your lingual braces will then be custom-made and fitted at a return appointment. Invisible braces are now a reality – please visit our London orthodontics practice and see them for yourself!